As the only full service day spa in downtown Huntington Beach, we deliver professional, luxurious and affordable services to residents and visitors. Whether it's for your regular mani-pedi or a full spa day, enter Main St. Day Spa to lose your mind & find your soul. A short walk from the beach is just one of our perks; we offer affordable and relaxing massages, facials, pedicures, manicures, sugaring/waxing, body scrubs and more! Enjoy rotating deals (like $49 Swedish massages!) Mon - Thurs, 930am - 1pm. Ready to relax? Call to book an appointment today! We love hosting your parties and every day beauty needs. Walk-ins always welcome, so don't be shy! It's not a treatment - it's an experience. It's not skincare - it's confidence. 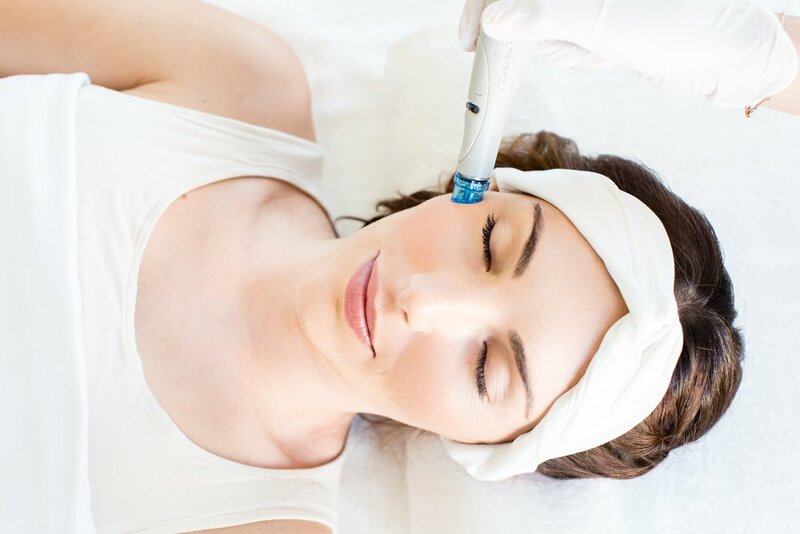 We are pleased to offer HydraFacial for healthy glowing skin - after 1 visit! We strive to offer our clients attainable luxury in a clean, relaxing and inviting environment. We pamper you head to toe! We only use products and technology we trust on our own friends and family. That means tested and organic lines, from our skincare products to gel nail lacquer. Our services are treatments that everyone deserves. That's why we keep affordability in mind, especially with rotating promotions and Happy Hour specials! We know how important "you" time is. Let us take care of you, providing you with the soothing experience and professional beauty results you deserve. Hello and welcome! I wanted to take a moment to introduce myself. My name is Kim Bui, proud owner of Main St. Day Spa. After 25 years in the beauty industry and living in Huntington Beach, I have owned and managed 3 lovely salons. However, my motto has remained the same: to care deeply about my clients and their needs. I hope to provide quality services catered to YOUR needs, from a quick mani to a full spa day. And as a working mother of 2, I understand the importance of relaxation once in a while (without compromising convenience, affordability and luxury) - so come on in, and let my team take care of the rest!